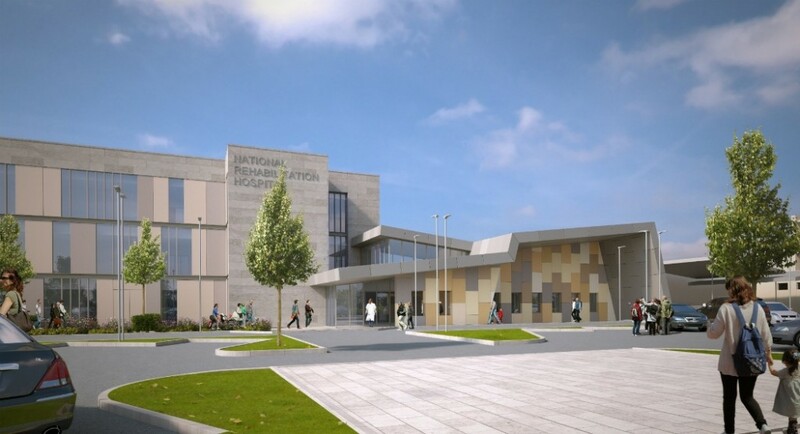 Alucraft Ltd. are pleased to be partnering with John Paul Construction to design, manufacture and install the façade package, of circa €7 million, for a new 120-bed unit at the National Rehabilitation Hospital on Rochestown Avenue, Dún Laoghaire. The new unit is designed, by The O’Connell Mahon Architects, to immerse patient spaces into the surrounding landscape and views and to fill said spaces with natural light and ventilation. 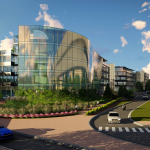 To meet these design needs Alucraft Ltd. will deliver Schuco FWS 50 Capped and Schuco FW 50 SG curtain wall glazing. The scope of work will also include Aluminium Rainscreen Cladding in a wide selection of RAL (polyester powder coated) colours with some bespoke Aluminium Extrusions. On completion, the building will have 120 rehabilitation beds, a new Sports Hall and a Hydrotherapy Unit. Work has already begun on site with facade installation commencing in Q2, 2018.